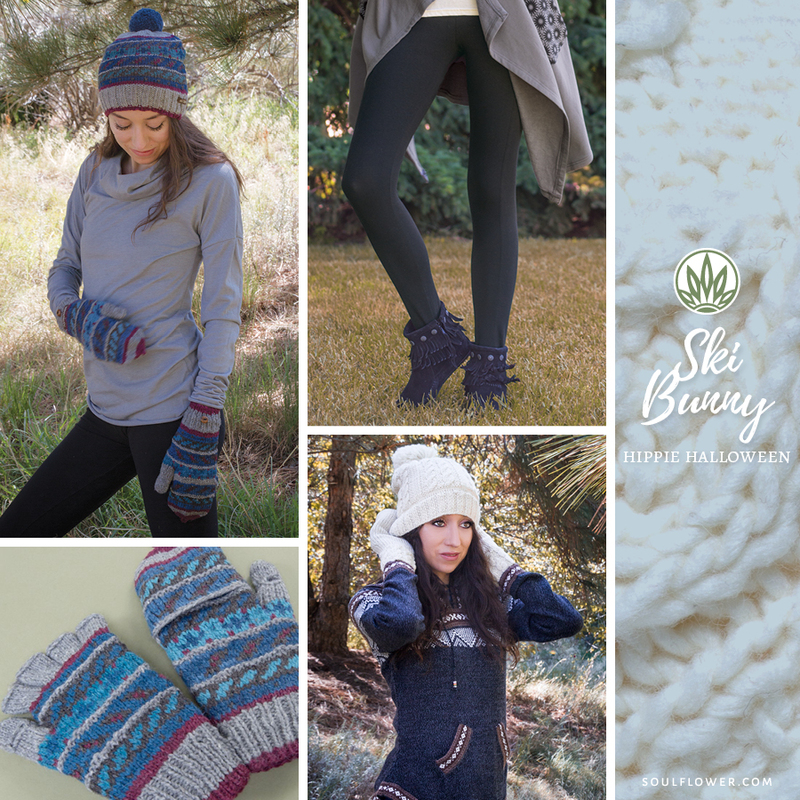 Our hippie outfit ideas are perfect for year round! 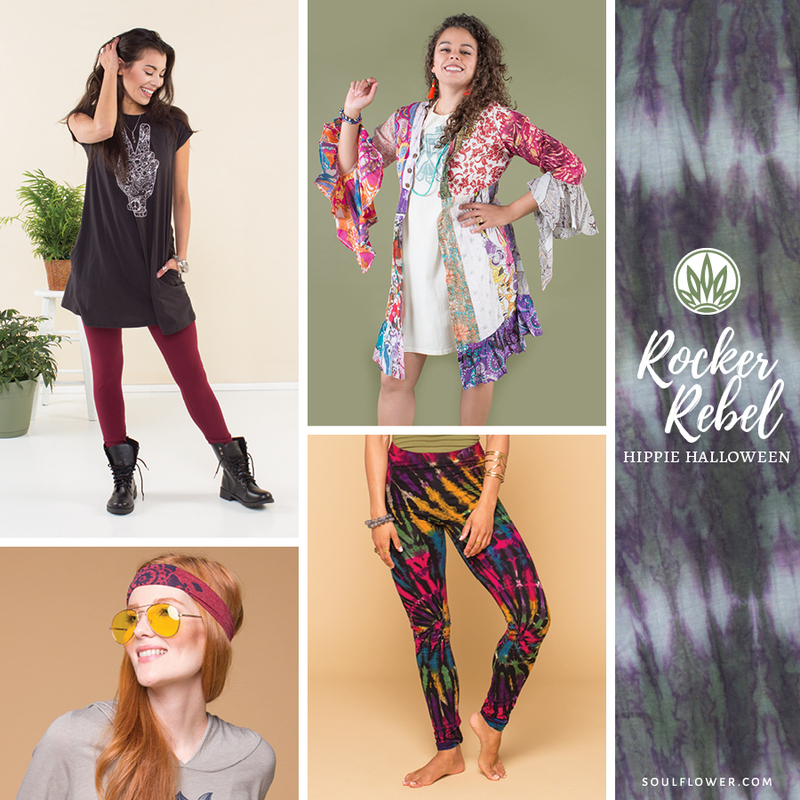 Really buds, you don’t need Halloween to dress up as a hippie – just choose a hippie outfit any day of the year to spread vibes of peace, love and hippy-ness! It all starts witha look through your own closet of funky threads and pull together a DIY hippie outift. So what’s the difference between one of these hippie outfits and a regular day outfit? Really nothing (except your state of mind)! Dressing like a hippie is cool every day. 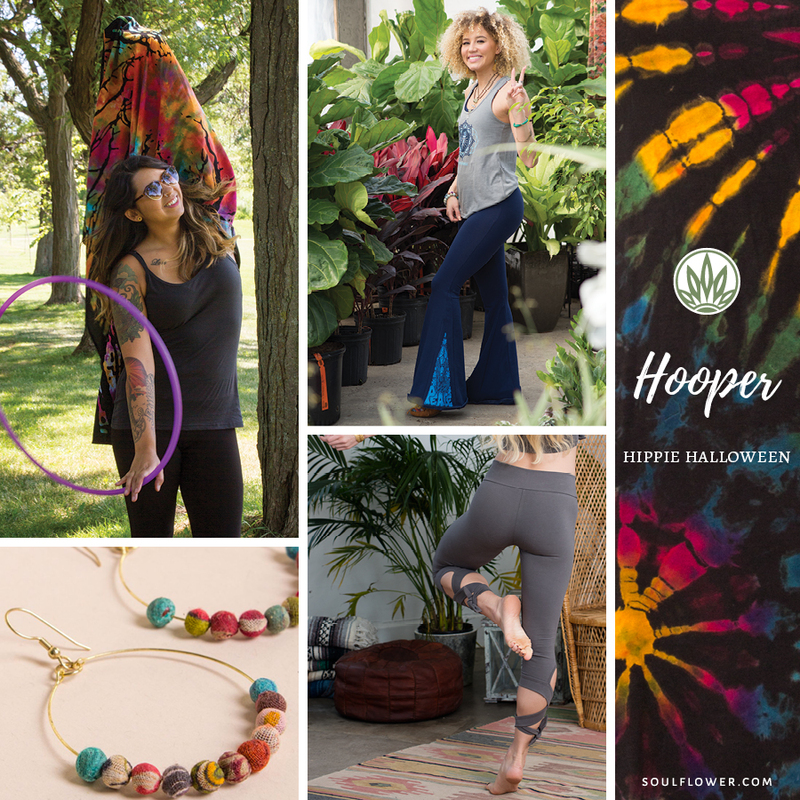 So think of these less like DIY hippie costumes and more like every day DIY hippie outfits and have fun finding some cool hippie threads! 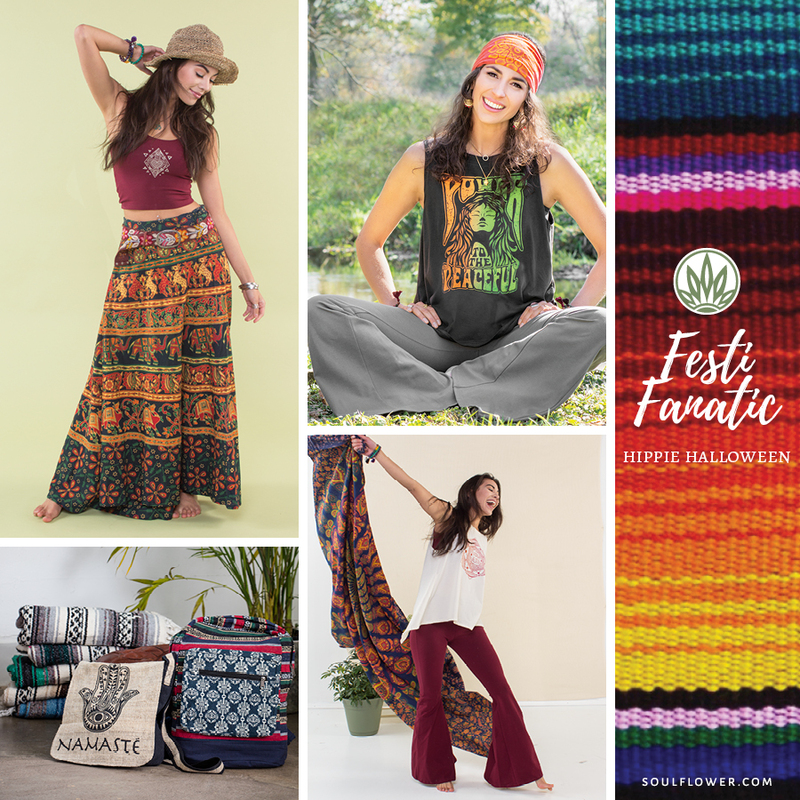 Be sure to watch out for scary fast fashion when putting together your hippie outfit, there is nothing worse than wearing something once and never again! 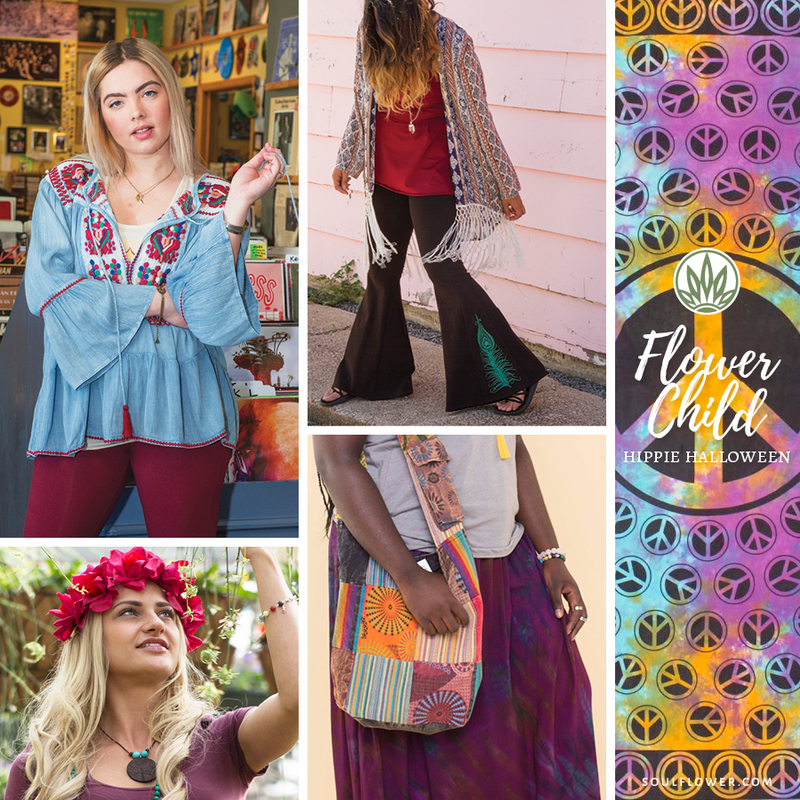 At Soul Flower, we carry hippie chic clothing you can use for a hippie costume AND for years to come. 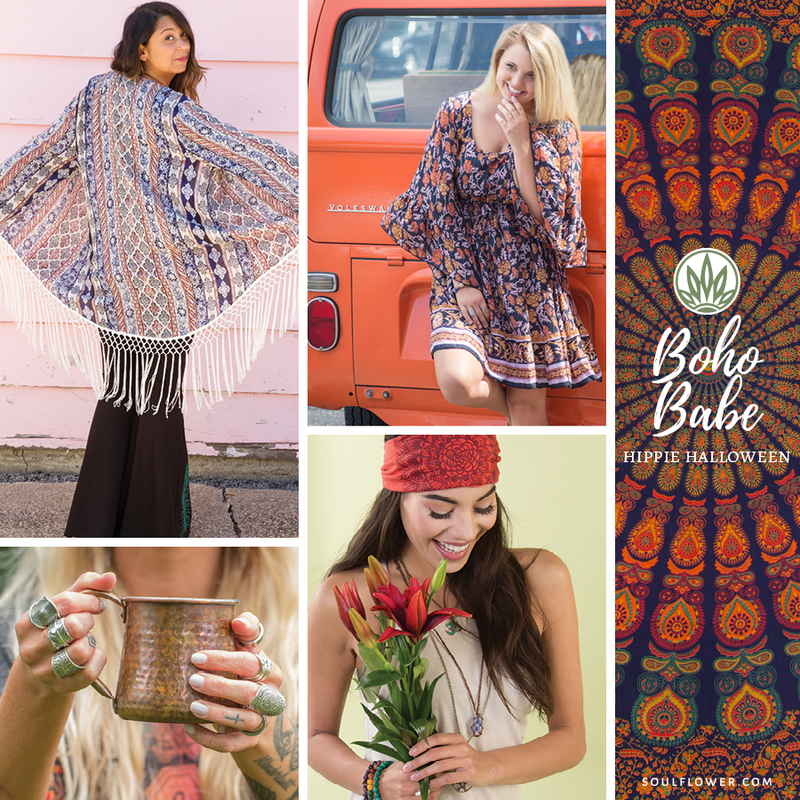 We know you are already a boho babe so this DIY hippie outfit isn’t really a costume, it is more like you can just dress like you always do! 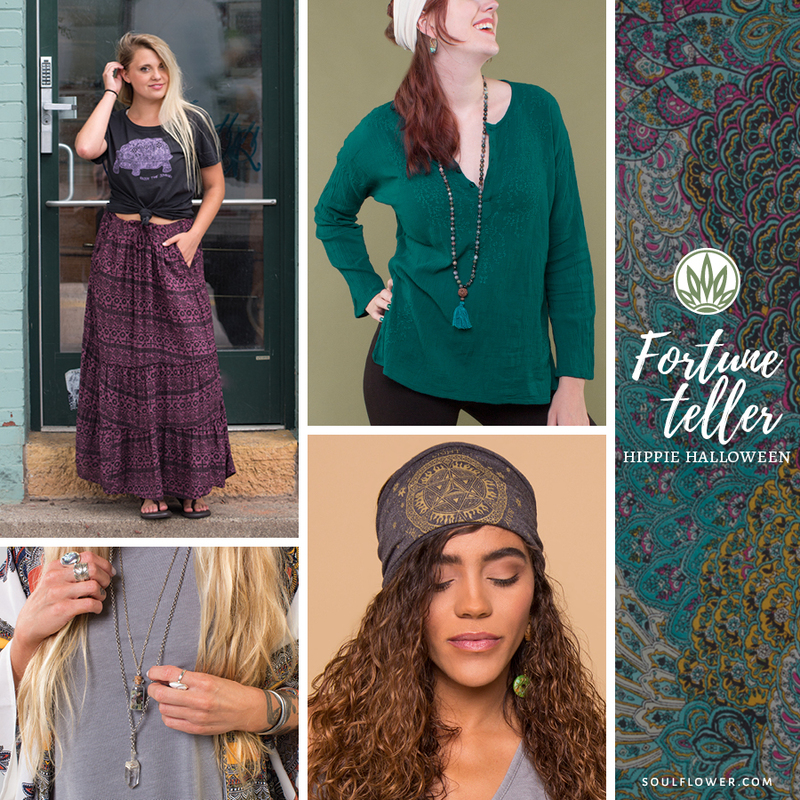 So whether you consider your vibe to always be boho babe, or you want to try a boho hippie costume to show off some extra groovy hippie vibes, try these tips! Check what phase the moon is in, grab your binoculars, and spend the evening pointing at the night sky. 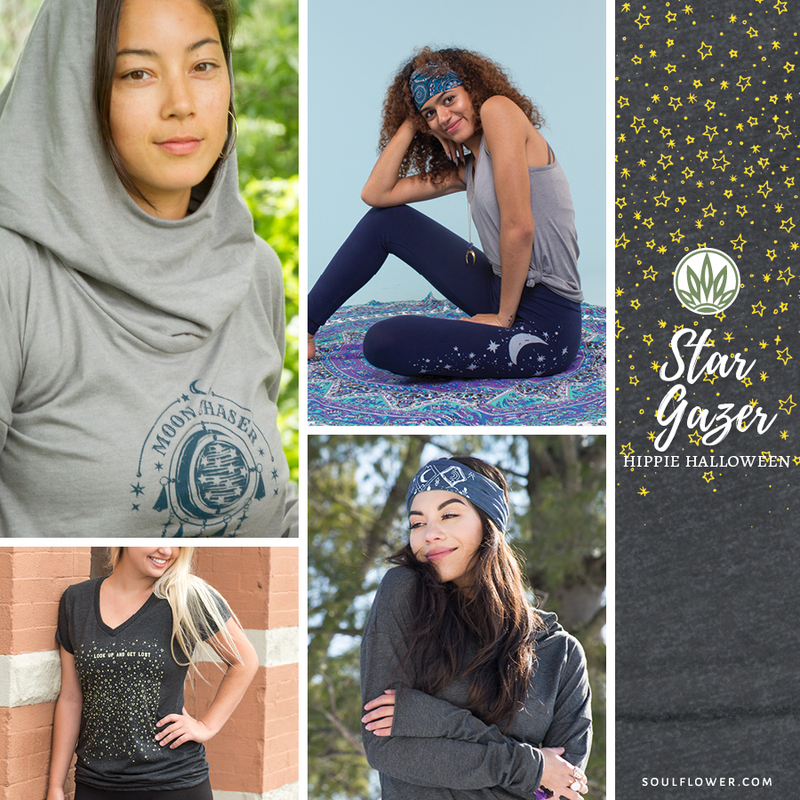 A cozy blanket to wrap yourself in and a thermos full of hot tea are optional but help complete this star-gazer look! 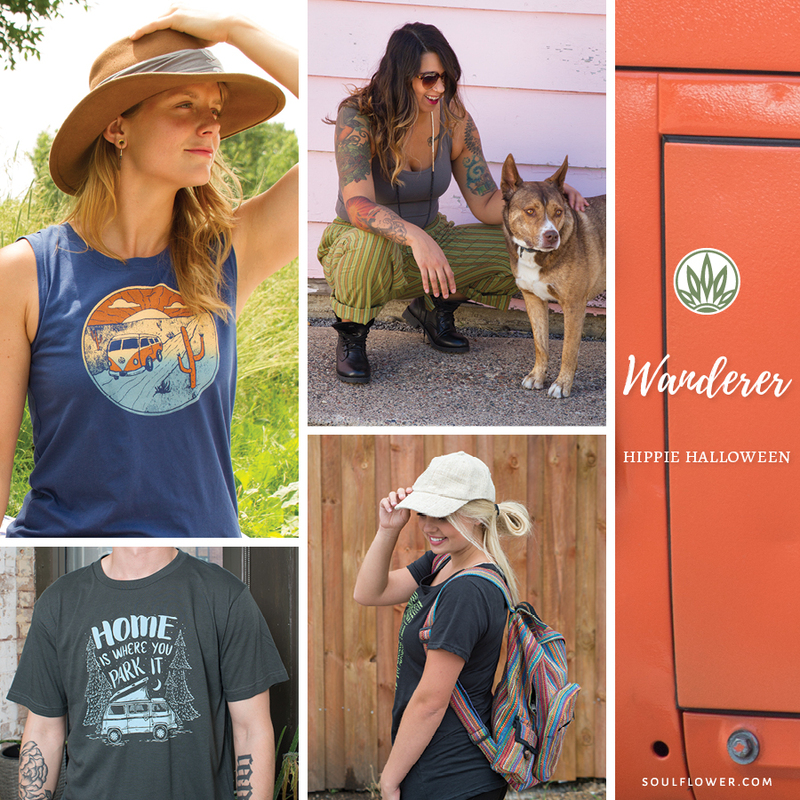 Road tripper, hitchhiker, thru-hiker, #vanlife, or just wandering through this journey called life… throw on the best of your on-the-road gear, grab a paper map and a walking stick, and tell everyone you can’t wait to get on the road again. 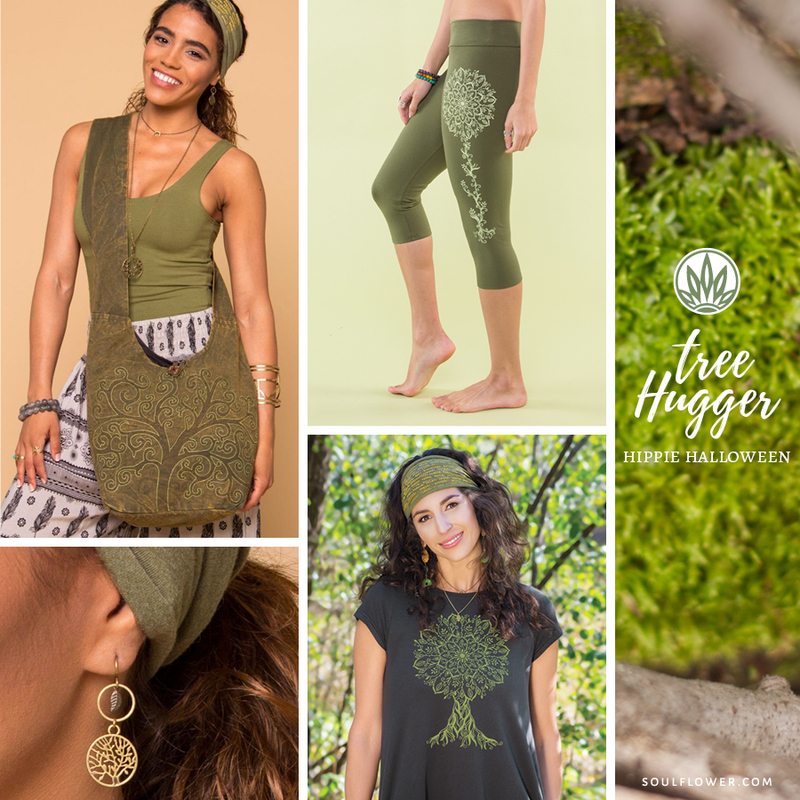 This hippie outfit is called Wanderer!